On 18 May the Federal Government’s Inquiry into Religious Liberty under the Chairmanship of Philip Ruddock will present its report. 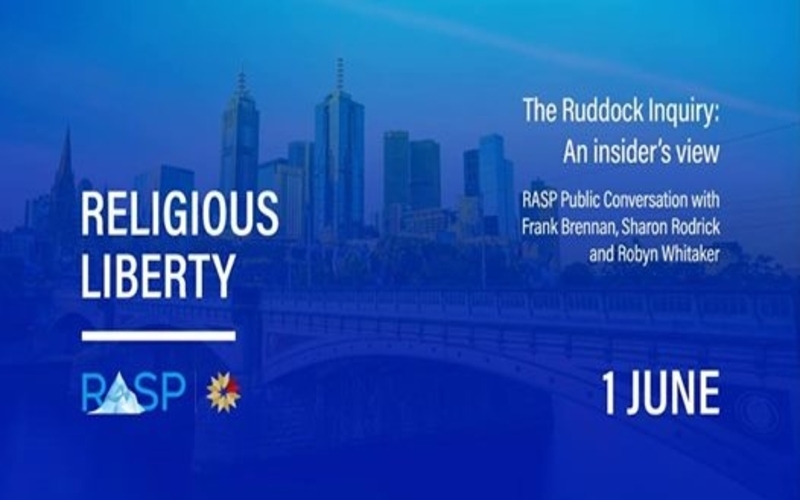 It is very timely that the University of Divinity’s Centre for Research in Religion and Social Policy (RASP) invites you to attend the second annual RASP Public Conversation on this significant topic on 1 June at Collins Street Baptist Church. Collins Street Baptist Church, 174 Collins Street, Melbourne.